The Successful Farmer Veteran Panel features five farmer veterans who have taken distinct paths to find success in their farming endeavors. Among the panelists are retired Army veteran Alejandro Jauregui of Fury Bees and Pollination in Woodland, CA; Army veteran Sarah Porter of Goodrich’s Maple Farm in Cabot, VT; and retired Army veteran Michael Reynolds of Reynolds Cattle Ranch in Calhoun, GA. The Government Partners Panel brings together high level officials from the USDA, Veterans Affairs, Department of Defense, Department of Labor, and Small Business Administration to discuss policies affecting farmer veterans. Q&A session follows. Subject-matter experts will deliver 12 breakout sessions during the conference’s first two days. Planned breakout sessions include: pastured poultry, beekeeping, employment opportunities in agriculture, financial and business planning, Homegrown By Heroes marketing, getting into row cropping, aquaculture, indoor agriculture, soil health and more. Researcher Karen Besterman-Dahan, Ph.D., R.D., from the VA’s Center of Innovation on Disability & Rehabilitation Research will deliver an update on her study focused around the impact of agriculture and horticulture on veterans’ health. 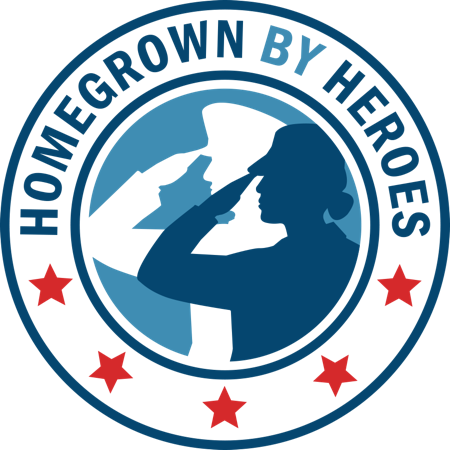 Walk the floor of the exhibit hall to network with representatives of state and federal government agencies, universities, veteran service organizations, farm groups, and nonprofits working to connect veterans with agriculture. Bring your business cards to exchange with exhibitors. On the morning of Friday, November 16, 50 veterans representing all 50 states will take part in a special sunrise flag-raising ceremony at the National Agriculture Center and Hall of Fame in Bonner Springs, Kansas. Bringing the farmer veteran community together is of the utmost importance. We’ve planned a no-host bar mixer and reception on the first night and a main dinner on the second night. Additionally, breakfasts, lunches and refreshments will be served.